London-based singer-songwriter and rapper BRYN has just unveiled her brand new single Queenpin and I am blown away! Loving how fast and effortlessly she spits those rhymes and the melody is super smooth and groovy! Her vocals are awesome and the infectious chorus is perfect to sing along to! Queenpin is a reaction to her haters and how she deals with negativity. The production of the song is super groovy and I can't stop listening to it. Stream this gem below! ’Queenpin’ was mostly inspired by my reaction to ‘haters’. The first line, ‘If you run your mouth you'll get a mute down’ describes how I deal with negativity: I simply shut it down and block it out. I'm the Queenpin of my own world and no one negative can reach high enough to dethrone me with their attitude. 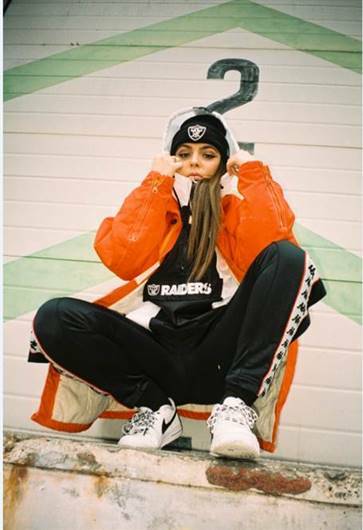 In addition to releasing Queenpin, this summer will see BRYN undertake a run of appearances including a performance on the BBC’s 1Xtra stage at Reading and Leeds, where she will share the stage with Ski Mask the Slump god, AJ Tracey and Lady Leshurr.